It’s been one year. A whole year. Well, even more than a year. 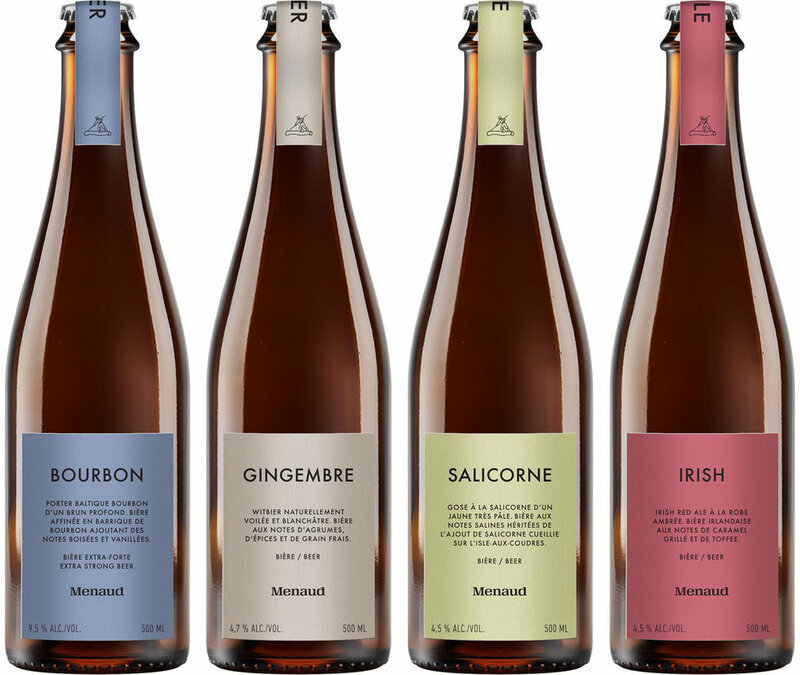 Fall 2017, the Montreal based studio Wedge asked me to work with them to develop an emblem for a brand new company of distillery and brewery, Menaud. 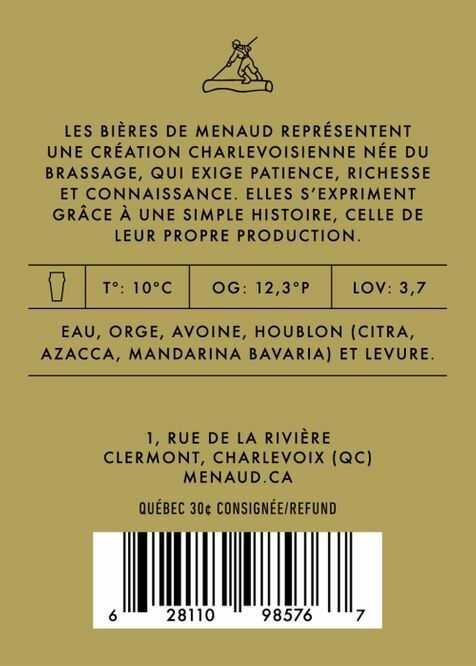 Menaud is named after Master of the River by Félix-Antoine Savard. It’s a masterpiece of Quebec litterature, and it’s about a log driver. 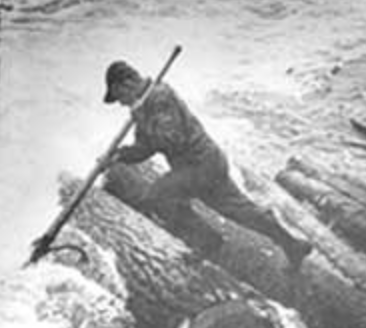 This is what a log driver looks like. 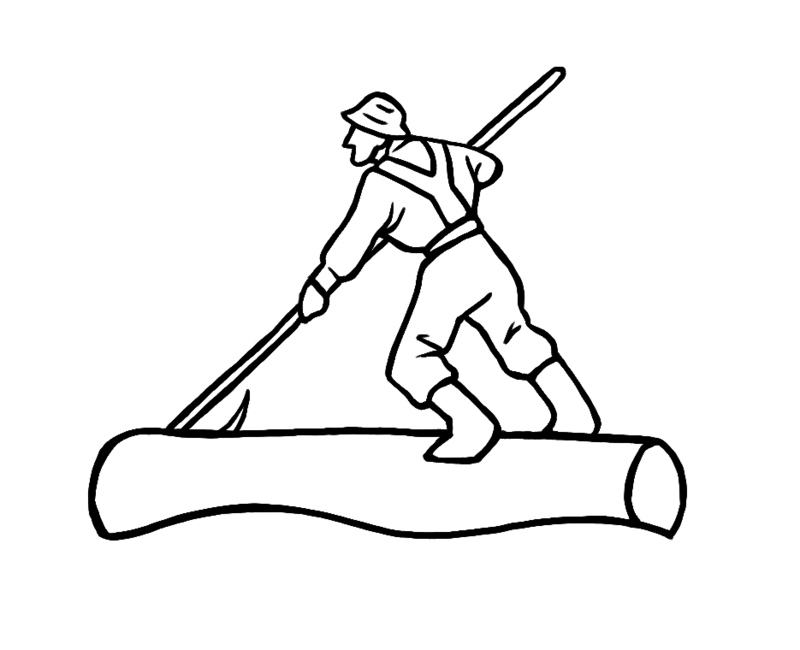 Lumberjacks were making sure all the logs find their way on the lake or the river during spring. What I’m showing here is just the tip of the iceberg of all the work that has been done. It all started with a few sketches, to see if we wanted the character to live inside a circle or not. Like a crest or a seal. Finally, bah… no circle. When I got the posture right, I’ve tried various ways to display water. And I had a hard time figuring out the right length for the pole. We wanted the whole shape to feel like it was inside of an invisible oval. And there! Tadah! A final version! No more oval approach, but a triangle composition. Well… We TOUGHT it was the final version. A few weeks later, the client came back to us, saying the log driver looked like he was not working hard enough. They wanted him in the middle of the action, proudly forcing against a riptide. And it was a good point. This first “final” version had a bit too much of a tripper vibe. So I went back to my drawing table. And there it was, the ultimate Menaud on his log, ready to conquer the world! Well… the river at least. And what you see there is just a bit of what’s coming. Wedge did an amazing job with this branding, giving it a simple and timeless look. The emblem being used so sparingly on the packaging communicates something very elegant and artful. My involvement might be small in the whole process, but I’m very proud I took part on this.